The ancient Greeks and Egyptians described a mythical bird called the Phoenix, a magnificent creature that was a symbol of renewal and rebirth. According to legend, each Phoenix lived for 500 years, and only one Phoenix lived at a time. Just before its time was up, the Phoenix built a nest and set itself on fire. Then, a new Phoenix would rise from the ashes. Some birds are very well known. A few are even legendary. 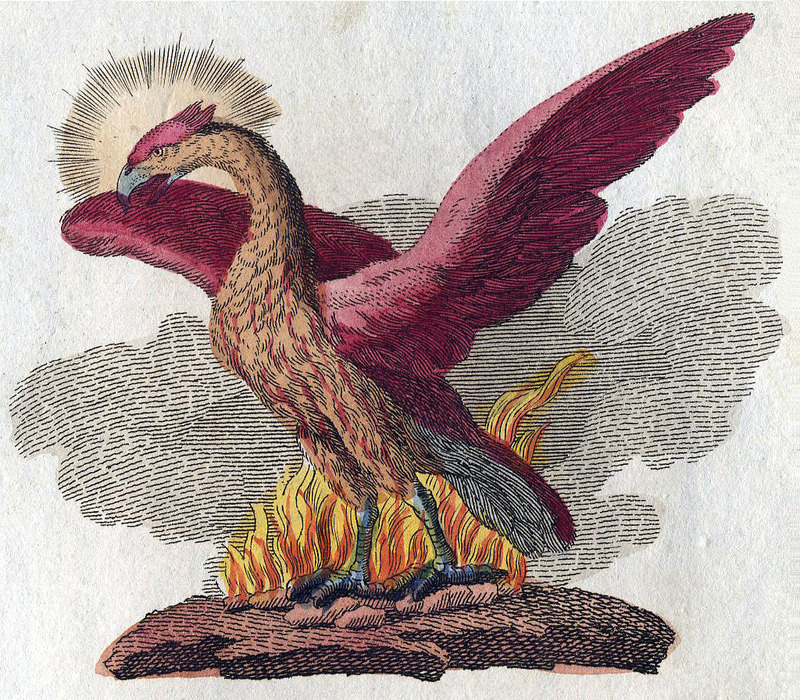 The ancient Greeks and Egyptians described a mythical bird called the Phoenix, a magnificent creature that was a symbol of renewal and rebirth. According to legend, each Phoenix lived for 500 years, and only one Phoenix lived at a time. Just before its time was up, the Phoenix built a nest and set itself on fire. Then, a new Phoenix would rise from the ashes. Both the Greeks and Egyptians associated the Phoenix with the sun. One myth says the dawn song of the Phoenix was so beautiful, the sun god Apollo would stop his chariot — and the sun — to listen. Ancient sources differ on the bird’s size and color. Some say it was the size of an eagle; others, bigger than an ostrich — with bright red and gold or maybe even purple feathers. All agree it **definitely had a golden aura. And in every version, it was exotic, literally one of a kind. “The bird sings. Its feathers shine.